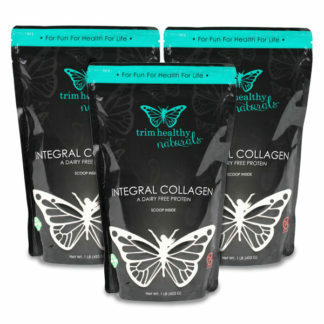 Integral Collagen is a pure protein powder for health and beauty as well as yummy food creations. From the grasslands of Argentina and Brazil, bovine Integral Collagen is pork free and processed with integrity. It dissolves easily in liquid with no blending required and is completely tasteless. This makes it the perfect choice to swirl into Greek yogurt or pour into your hot tea for a nutritional overhaul. 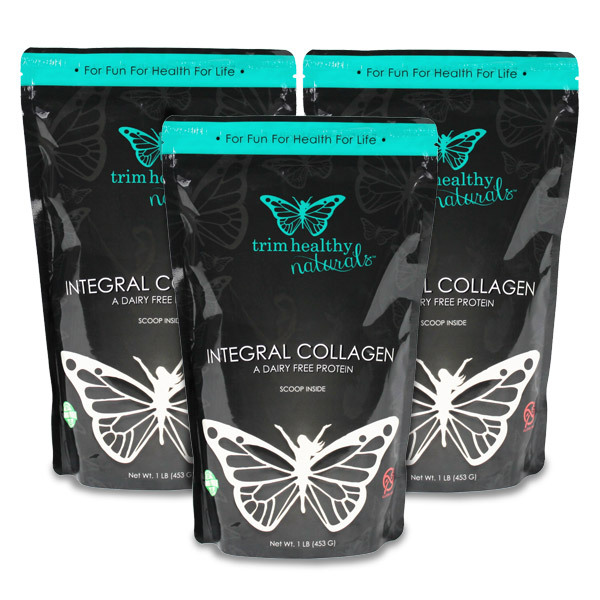 Integral Collagen is the “let’s get serious” approach to adding collagen to your diet. It is simply gelatin broken down into smaller amino acid chains called peptides, accomplished by a nature enzyme found in pineapples. These peptides can be quickly absorbed into the bloodstream and efficiently utilized by the body for improved hair, skin, bone, and joint nourishment and support. As the primary structural protein in the body’s connective tissues, collagen plays a vital role in the maintenance of the cartilage, tendons and ligaments that keep joints functioning properly. Protein based foods also take longer than carbohydrates to break down in the body, providing you with a longer-lasting energy source. Are you ever a stressed out Mama, wound up as tight as a tick? Collagen is known for helping to maintain the health of the central nervous system and aids in the functioning of the digestive system. Collagen peptides are abundant in Glycine, an amino acid that has several important roles within the body. It can also support glycogen storage, helping to make more Glucose available for energy production. In our homes we use Integral Collagen every morning in our Trimmaccino coffee to help ready ourselves for the day. 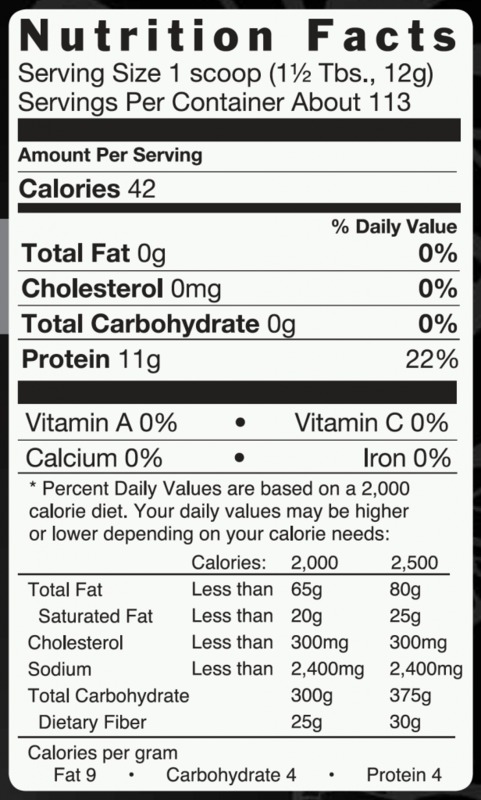 Allergen Information: Manufactured in a facility that also processes eggs, dairy and wheat. Store in a cool dry place. Over the many years of working as a nurse on the Mother Baby Unit, my fingers, once straight, began to turn and often would ache. I started taking the Collagen for my thinning hair and stiff joints. It has helped some with the thinning hair – since mine is gray, the new dark hairs really show up. The joints are somewhat improved, my eye lashes are longer, and my nails are even stronger. Just recently, a friend asked what I had done to my fingers – all are now straight!! The index fingers turn very slightly, but that is a huge improvement to what they used to look like! My knees have deteriorated over the years – bone on bone, but with some therapy and the collagen, they still work- no need for surgery! I love this collagen! I have only been using this collagen about a month. Having never used collagen before, I was skeptical I would see any results but I decided to give it a shot. After 5 neck and 2 lumbar surgeries, I have a lot of ongoing issues with pain and stiffness and because I receive steroid injections 3 to 4 times a year, my hair falls out easily. In just this short amount of time, I can already see a difference in my hair and skin and I do believe my joints are less painful. I only ordered one bag to start with since I really didn’t think it would do much for me. This time I’m buying the 3 pack. I drink this every morning in my 2 cups of coffee and if I have a bedtime smoothie or hot cocoa, I have it again then, as well as in any where else it’s used in a recipe in the THM cookbook or table. Oh and I’m down 8 lbs since starting THM. Great product. Thanks for making it available. I can’t say enough about this product. I have never used collagen before so when a friend of mine gave this to me, I really had no idea what to expect. I started a 40 smoothie cleanse and have been adding this product besides some other minerals and oils and I am just super blessed by all the benefits I have experience. My skin looks bright and clear. I have also experienced my body responding positive with the cleansing process instead of the sore and stiff joints. I am able to keep up with household chores and my 7 children. I feel very blessed to have tried this and hope to order more (cause I just finished the bag on Day 28). I use the Integral Collagen in my hot tea every morning. For me it has made my hair and nails so healthy. But the most important thing that i noticed is that it helps with my joints. When i don’t use it for a few days i can notice a difference in my joint pain. An excellent product! I use it daily in coffee and Oolong Tea. I travel with my CP…cannot leave home without it!!! I really enjoy using collagen as it easy to use, keeps my energy level up, my hair is healthy looking, and my nails grow. I like the 3lb bag, so I don’t have to order as often. It is out of stock alot though. Please let me know if you will get anymore in at this price, so I can order more as I am almost out. We’re so glad that you’re experiencing great benefits from the collagen. We are now offering three one pound bags for the same price as the 3# bag. I rate this product a 5. I use THM Collagen in my coffee every morning. I have been using this Collagen for a month and noticed my hair has stopped falling out. Been using this for 2 years . Incredible results, no more aching feet & limited soreness from working out. Highly recommend using 2 tbs daily. Your body with thank you! 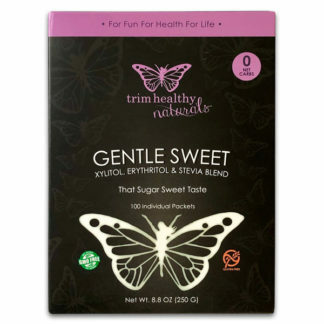 This is an amazing source of collagen and so easy to use. I see a big difference in my immune system and I work with kids all day! I was told it helps with Rosacea so I’m hopeful to see a difference. I work long hours after teaching a full day. My coaching hours require a lot of energy and Integral Collagen keeps me going strong at 62+. The 3lb. bag is the best way to go because you’re less likely to run out before you submit another order. If you haven’t tried it, do it now, you’ll see a difference!!!!! Great product! Sustains my energy level for hours. I am rating Integral Collagen a five because this product has truly been a blessing in helping my husband and me maintain our goal weight! We use it every morning in our trimmy Rich and in so many other drinks and meals we have come to enjoy! It mixes in effortlessly and we can’t praise the results highly enough! Thanks for this amazing product! I’ve used this product for 3 years now. It makes my hair healthier & thicker. I stir it into my coffee each morning. I started using this tasteless, easy to blend protein booster about 6 months ago. I had had trouble with splitting nails for several years no matter how I worked to treat them. At least for me, I can say that within 2 weeks the problem was solved and my nails have remained strong and healthy. I starting using this THM collagen in my morning coffee a year ago for the protein and internal health benefits, but I had no idea the super-immunity-boosting POWER it has! I have not been sick in a year… no colds, no flu. Mind you, I work in an elementary school!…in kindergarten no less, the germiest room in the school!! We use this stuff so much, we really appreciate the larger, more economical size! It’s so easy to add to anything and everything and doesn’t have a funky taste the way some collagen powders do. My picky husband even stirs it into his oatmeal every morning. Thank you so much for this product! This is one of the things in life I remember to use daily because if I don’t, my body reminds me! P.S. I’ve ran out and tried others, thm doesn’t have an off taste to me. Thank you! Hi ! I rated this a 5 as I believe it has truly helped to make my sensitive stomach feel much better, soothed and I notice if I don’t use it. I use it in my Trimmy FP every morning, it is so yummy! !